Indian River Radiology was the first to provide “MultiSlice” CT scanning to Indian River County. The advanced technology of our Siemens Sensation 16 whole body scanner allows for faster scan times thereby reducing the time a patient must lay on the scanning table. Combining multiple scans also allows for the maximum amount of information in a minimum amount of appointment time. Our Technologists have achieved advanced certification in CT from the American Registry of Radiologic Technology as well as being Registered in general radiography and all have many years of experience in all phases of imaging. PREPARATION: Depending upon the part of the body to be examined, may require lab tests (BUN and Creatinine) as well as drinking a barium contrast solution, Readicat. DESCRIPTION: “CT” stands for computerized tomography which, very simply stated, means looking at your anatomy slice by slice in a cross-wise fashion (think of a loaf of sliced bread). PROCEDURE EXPLAINED: All CT Scans are performed in a similar fashion. The only difference is whether the patient will be lying on their stomach or back; that’s determined by the body part to be examined. 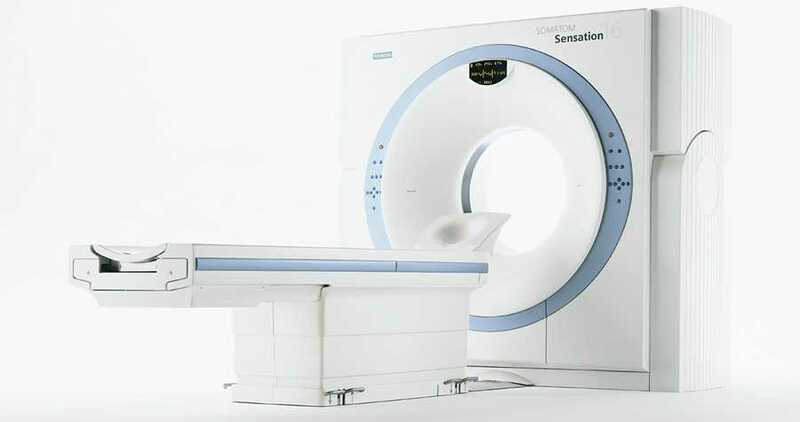 A CT Scanner looks like a narrow table that passes through a doughnut shaped “gantry”. Inside the gantry is an x-ray tube that, when activated travels in a continuous circle emitting x-rays as it rapidly travels around the body part. At the same time as this x-ray tube is rotating around the body, the patient is slowly traveling through the gantry, providing more anatomical information to be captured. This is a “spiral CT scan”, which means it constantly collects information for the computer to reconstruct after the scan has been completed. Some parts of the body require “x-ray dye” to be injected into a patient’s vein in order to be thoroughly studied. This is particularly important when we need to see the blood vessels, which don’t normally show up without x-ray dye. At INDIAN RIVER RADIOLOGY, we use the safest x-ray dye available. However, we still question each patient thoroughly regarding allergies and previous experiences before injecting. Likewise, we use a barium solution called Readicat to differentiate bowel and stomach from adjacent organs. This is a fairly palatable drink that is flavored and best when very cold! It is very important to follow all instructions carefully in order to achieve the best images possible. TOTAL TIME REQUIRED: Time is dependent upon the part to be examined. Plan on 30 minutes to 1 hour.